As graduations start rolling around, I find myself thinking more and more about changes to the profession we’ve seen since I graduated from veterinary school 24 years ago. Veterinary medicine is far more competitive than it used to be, and at the same time our clients (pet owners) have higher and higher expectations of their service providers. I hear far too many veterinarians and practice managers focusing on “new clients” when a far bigger risk to their practice is hiding in plain sight, as it were. What am I talking about? Client churn. Low compliance. Low client retention. Virtually every practice manager in the US knows how many new clients they got last month, yet very few of them know how many they lost. I firmly believe your practice could double its revenue without adding one more new client if your client reminder platform was up to date. A lot has changed in the last 5 years and if you’re still relying on your practice software system or another vendor you haven’t evaluated recently, it’s time to place this on the front burner. To help you with the process, we’ve put together a list of the top five questions you should ask when considering a client communication partner. 1.How does your technology address the top three critical components of my business - my clients, my team and my reminder tools? This question should be asked at the beginning of each meeting. You have three areas that are of importance for the success of your practice and your marketing technology solution should be addressing each one. How is their marketing platform providing value to your team? Is it helping with efficiency or eliminating daily administrative tasks that may otherwise be a burden? What about clients; do they offer something of REAL value to your clients? 2. What kind of reminder tools do you offer and how are they different from other technology platforms available? Improving communication between your practice and clients should be a primary benefit of working with a marketing technology partner. These days you can communicate several ways; the standard-yet-outdated phone call, the overused and often easily dismissed email and the most recent communication preference of push and text notification. Does the marketing vendor you’re interviewing provide any or all of the above? Can you track what is working and what is not? You want to know exactly what they offer - email, text, push notifications, postcards, etc. A major benefit of working with a company that does all of these is efficiency & cost savings. 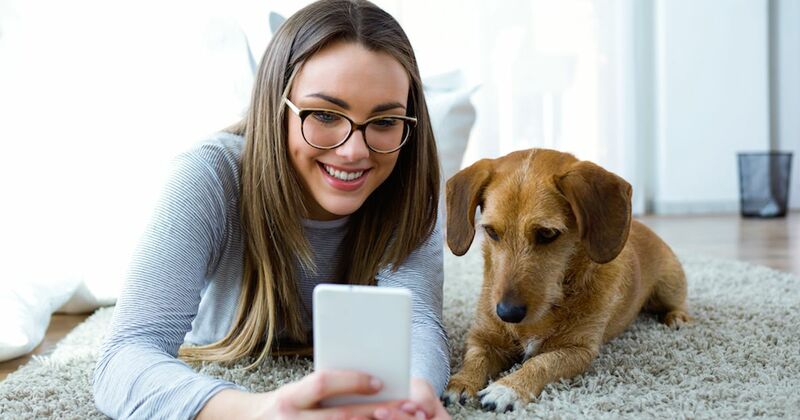 Because we provide digital channels, like texting, practices using VitusVet usually save several hundred dollars a month from sending far fewer expensive postcards. Perhaps the answer lies in accountability reporting. Can you have insight to true cost vs benefit through tracking reminder delivery and channel performance? What are your compliance rates? Can you set and monitor goals for appointments and refills? Look for a partner who will provide you with the detailed information you need to make smart decisions for your practice. 3. I don’t want my staff working more, how does your technology help my staff with workflow? The whole reason that you need marketing technology is because your front office staff cannot do it all. (Frankly, neither can your practice management software, but that’s a topic for another blog post!) They’re wasting time on the phone because people are calling to request records, make appointments, request refills and get even more records! What is your partnership going to provide that will help alleviate the chaos at the front desk so your client service representative (CSR) can spend more time building relationships and providing better client service? Are medical records able to be sent digitally so your CSR can “break up” with the fax machine? Can your clients make appointments 24/7 without having to use the telephone? 4. My clients privacy is important to me. What are you doing to protect it? This should be a no-brainer with any partner you work with but it is something you have to ask. Every answer may be a bit different, but the most reassuring responses will be evidently clear. What kind (medical, financial, contact information, etc. ), where and how is client data transmitted and with what type of security? Who has access to client and patient information? How can that information be shared and backed up for protection from loss? The discovery here will be an essential step in finding that trusted technology partner you’re looking for. 5. I’d like to make sure that your technology actually helps my business. How will I know we’re getting results? Don’t let this answer fool you, either. Looking at how many emails are sent isn’t providing you enough information to know what really is going on with your marketing material. You need to know more than the number sent - what about open rates and click through rates? How about push notifications or text messages? How many people are responding to your marketing efforts so you can gauge REAL success? Ultimately it’s about compliance and client engagement and a simple and “easy to understand” metric here is 90-day compliance. In other words, if 100 of my clients are due for a service on January 1, how many of them have come in by the end of March? Of course, to get the most value out of this you need to be honest with yourself and find out what your practice’s 90-day compliance CURRENTLY is. Most practices we talk to either don’t know or assume it’s around 50-60% when, in fact, it’s usually more like 10-15%. This means that the overwhelming majority of your patients are NOT getting the care you believe they should be, not to mention the adverse impact this has on your practice’s revenue numbers. Remember, when speaking with a potential client communication partner that there’s never a bad question to ask. You want to know exactly what they provide and how you can measure the performance of it given the spend. 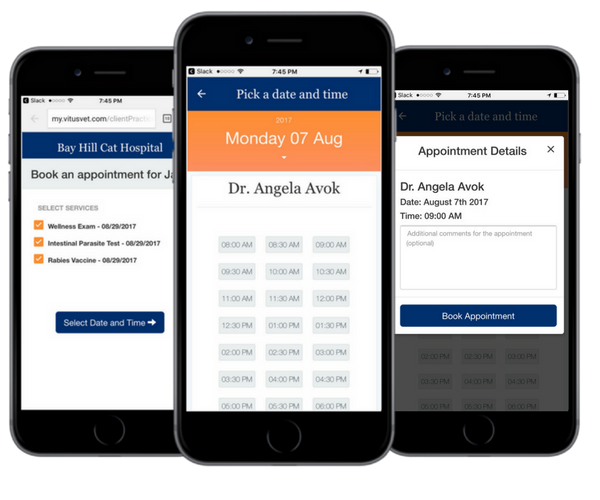 You want to know how they are going to help you towards your practice goals of increasing non-routine visits and driving more revenue while helping improve patient care. 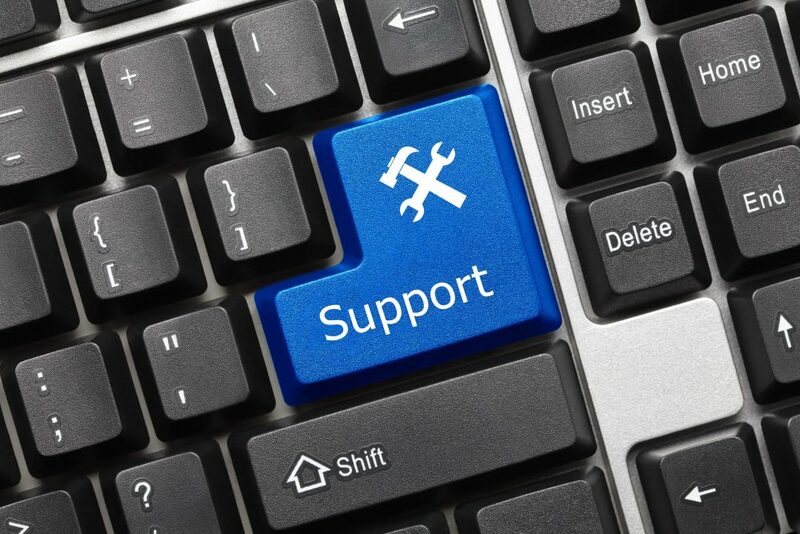 The evolution of telephone support. Google. Apple. Uber. VitusVet: The evolution of telephone support. I’m sure you find it a constant struggle to have clients perform specific tasks in order for you to keep their pet healthy. In many cases, the primary struggle is getting a client to return to the practice for their pet’s annual exam. We’ve discussed overcoming this obstacle prior in some of our previous blogs on why clients aren’t returning to see you and why you’re kidding yourself if you’re using postcards. But, the primary focus of this blog is to discuss the other actions your clients need to take in order to make their trip to the vet a successful one; a trip where you can actually do your job. 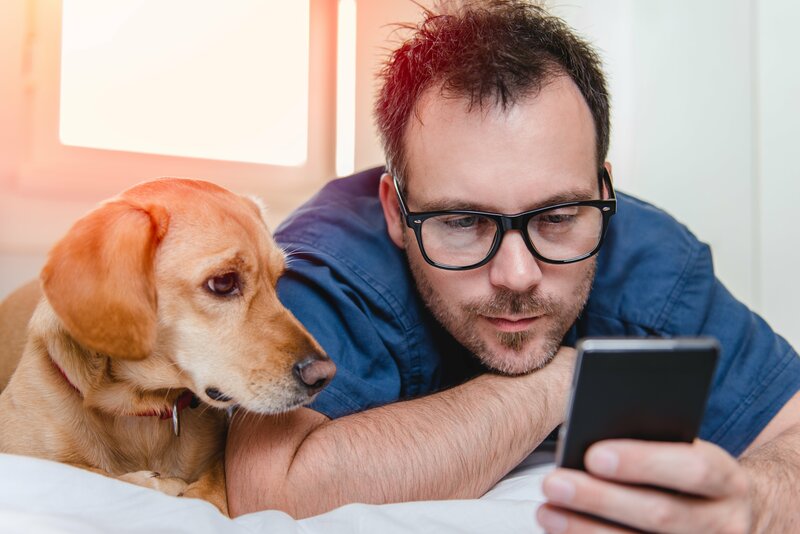 Direct-to-schedule appointment booking for veterinary care is here with VitusVet and it could impact your business significantly. There are understandably a ton of questions, maybe some hesitation, but the great opportunity for practice growth is undeniable. In most businesses, sometimes it’s best to leave a functioning system alone. 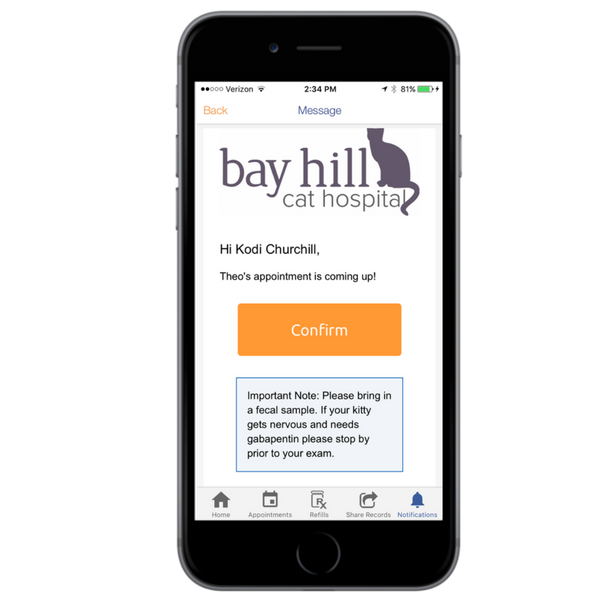 However, when it comes to your veterinary practice appointment booking system, just being “functional" can negatively effect your ability to provide exceptional client service and improve patient care.